Exactly three years ago, Barcelona en Comú, a citizen platform, emerges from the Spanish anti-austerity 15M movement, and a year later they win the 2015 municipal election of Barcelona, becoming the ruling political party. 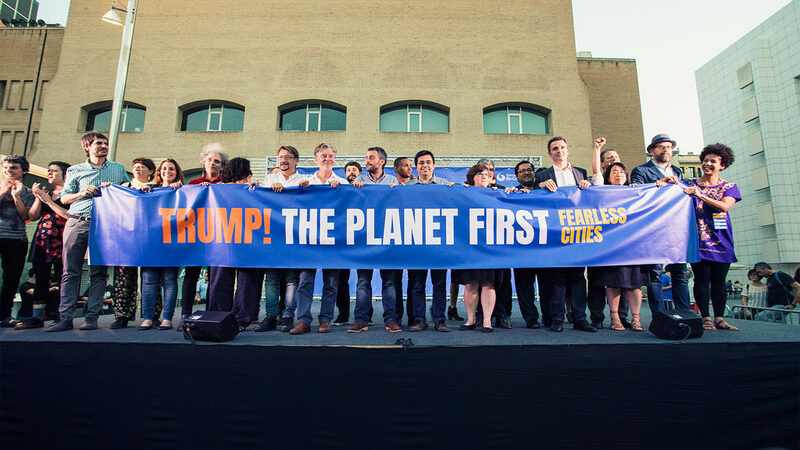 Two years after that, they’re hosting the Fearless Cities Summit promoting a radically different way of doing politics at the municipal level. From 9-12th of June 2017, some 700 mayors, councilors, thinkers, movement activists, NGOs, foundation reps and active citizens from five continents and over 40 nations convened at the University of Barcelona for what felt like the unofficial launch of a truly global municipalist movement (see our introductory blog post). The grandiose venue was abuzz with the usual conference suspects: panels, workshops and discussions, but with not-so-usual content: challenges of gentrification, feminising politics, how to take back control of essential services, radical democracy and the edgy agendagoes on. Over 180 cities and about 100 municipal platforms from around the globe were represented at the event (see this map). Attendees from Tokyo to Cape Town, Seattle to Juba, as well as a host of European cities, converged in a mood of mutual support, sharing, and a willingness to form deep connections. Barcelona’s charismatic mayor, former anti-evictions activist Ada Colau, held the space with the support of her committed crew and more than 170 volunteers, ardent believers in participatory democracy and an equitable España. If I had synaesthesia, the Fearless Cities summit would have tasted like togetherness. Every session reverberated with zeal and excitement, and it was evident that participants were swept away by the diversity and potential of the translocal municipal movement. Together! Togetherness was by and large the prevailing sentiment: we are all in this together and together we can fix it. Radical participation of citizens — or simply inhabitants, regardless of legal status — is the key of good democracy as an organised and long-term response to the corporate capture of the state and the conservative authoritarian political trends. People left encouraged, believing that bottom-up political agenda setting and governance of our cities is possible through a model of meaningful collaboration: “hacerlo en común” – Doing It Together. Councilors, mayors, and those involved in new municipalist governments were allowed to step out of their local frameworks and hear about the successes and challenges others were facing (see below) across highly diverse political contexts. Deep, personal connections were created, and follow-up meetings (for instance, a visit of Barcelona & Naples municipal platform members to Poland) are already planned. Not to be entirely swept away by this wave of optimism, a couple of recurring challenges surfaced in the sessions I attended as well as individual conversations and are worth mentioning. Local solutions to global problems? This issue was somewhat divisive. On the one hand, I frequently heard the argument that localities matter and even the most global of challenges depend on ‘local anchors’ that can be contested. Only through functioning and truly accountable local politics can we start to tackle challenges like pollution and the financialisation of the housing market. Others challenged such a view, doubting that localised politics could ever deliver solutions to the root causes of these issues. It seems that translocal, concerted action of progressive municipalities deeply rooted in sound, local politics can go a long way in showing that we can, as Yanis Varoufakis said, “Replace TINA (There Is No Alternative) with TATIANA” to show That Astonishingly There Is An Alternative. A recent TNI publication, for example, highlights that there are ample opportunities for remunicipalisation across a variety of sectors. Changing institutions from within? The inability to influence central policy areas, existing rules and regulations, institutional inertia, as well as the mindset of the majority of public servants pose a challenge to the implementation of progressive policies even after progressive forces come into government. How do we support public servants to become empathetic facilitators of collective practice and civic self organisation rather than defenders of encrusted structures? Related to this, is the challenge that newly elected councilors face in situations where their core values are being contradicted by the existing policies that they do not (yet) have the majority to change? An example of this came up during the Roundtable on Housing, Gentrification and Tourism. Forced evictions of people unable to pay their mortgages are still a regular occurrence in Barcelona and a major challenge for the Barcelona en Comú councilors, many of whom are former PAH activists who took direct action against forced evictions in the past. Unable to directly challenge the practice of evictions, the city tries to prevent the eviction. If this is not possible, the city government sends one of their elected councilors to do everything possible to prevent evictions and at least support the victims, and the information about the eviction is also shared with activists via Twitter to garner community support and inform people that they’re not forgotten. This practice directly counteracts the official judicial order and raises questions about how much you can bend the rules before you need to change them. Where and who is the ideal citizen? In addition to existing institutions, progressive city governments heavily depend on their citizenry. It was often mentioned that education and positive experiences with grassroots politics are essential to create engaged and capable citizens needed for successful bottom-up communal governance. Immediate challenges, however, were two: (a) it is difficult to mobilise a representative cross-section of the population and organise them in participatory (physical & online) processes, and (b) the citizens you involve need to know how local institutions function if the discourse is to be constructive. The austerity threat. Municipalities around the globe, but especially those in the South of Europe, are affected by austerity politics and the dominant frame of austerity adopted as the only responsible and inevitable course of action. Budget cuts heavily affect municipalities, and already poor communities with fragile economic safety nets are especially affected by such cuts – and so the inequality gap grows. Austerity trickles down from government offices to municipalities, like a poison down a river, relegating responsibility & reputational risk to those who are least responsible for deciding the toxic austerity measures, which were signed off upstream. Can new municipalism deliver in different political contexts? 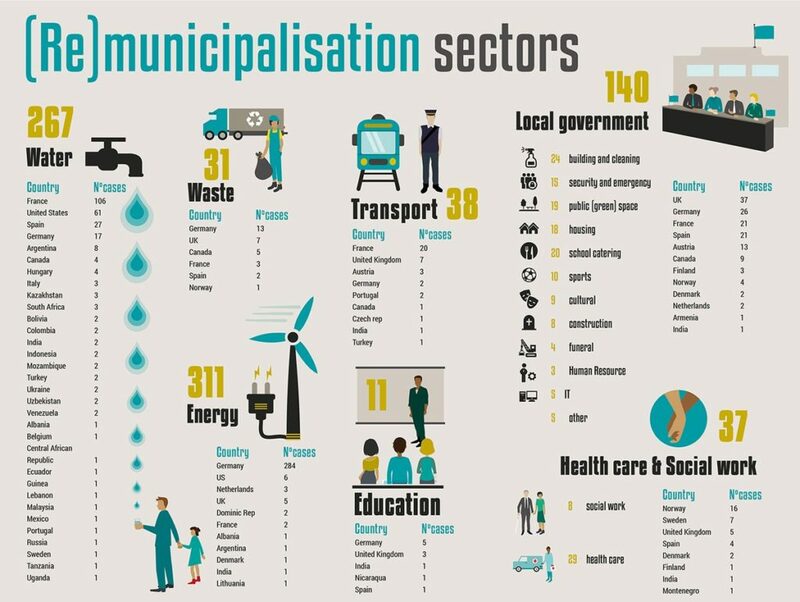 There are limits to what can be achieved in political contexts where municipalities have a small influence only and central control dominates. What are the experiences there? But a central tenet is a rampant pragmaticism, in the words of Ada Colau, “the democratic revolution must, avoiding demagoguery, make specific proposals in order to be credible”, and such specific, citizen-oriented actions are surely the first steps toward that different context. 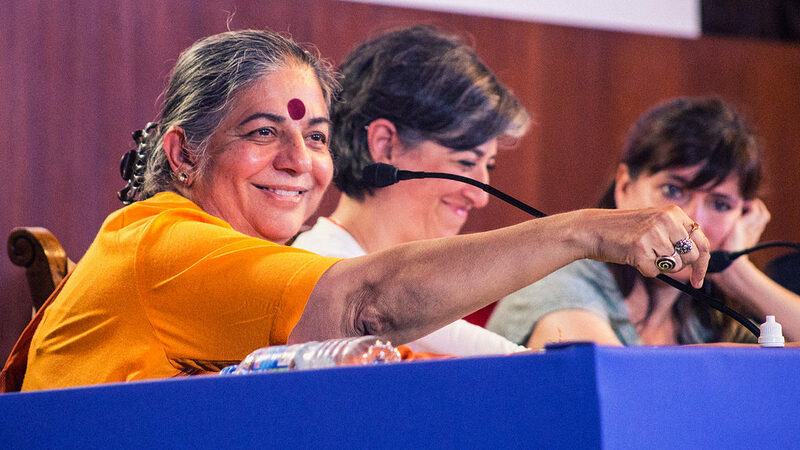 Guerrilla Foundation’s support for the conference was a direct result of a site visit to Barcelona en Comú as part of the annual EDGE Funders Alliance conference in Barcelona this April. Following the EDGE conference, together with Karibu Foundation (travel grants) and European Cultural Foundation (translation & documentation), Guerrilla Foundation was one of the first to commit financial support for travel grants for international representatives to attend the Fearless Cities gathering. An internal call was launched shortly after the conference that highlighted the urgent funding needs of the Fearless Cities organisers. A number of other foundations from the EDGE network reacted rapidly within a short timeframe of about three weeks – impossible to imagine for many funders but clearly possible for Karibu, ECF, Avina, Chorus, FPH, Ford, EDGE, & Grassroots International . Within a couple of weeks, nine funders had decided to support the conference with a total of 70K EUR. In the weeks to come, the organizers of the conference saw the number of registrations rise from a few dozen to over 700 people from a range of geographical localities and political contexts. Without this speedy response, the event would have lacked a couple of key contributors from geographically distant locations, and the diversity of perspectives represented at the conference would have definitely suffered. This fast response funding is the result of a rethinking on both sides, funders and conference organisers. While for some of the activists involved with Barcelona en Comú, applying for, or receiving donor money was unthinkable just a couple of months ago, and remains a contested topic, but funders also benefited from this new and more direct way of engaging. 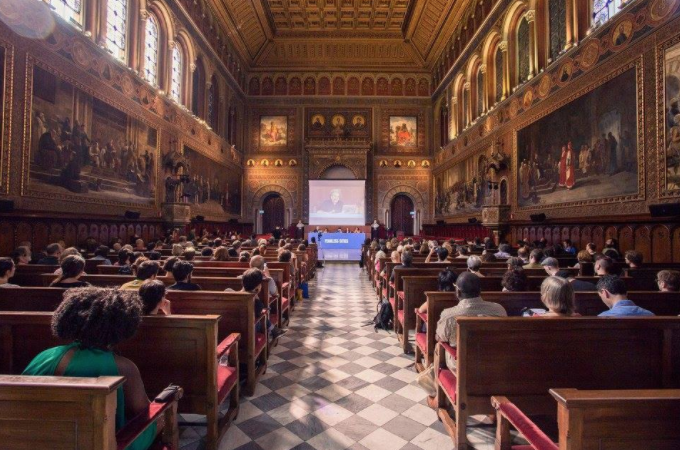 Through the participation of a Barcelona en Comú organiser in the EDGE conference, there was ample chance for direct interaction and trust building which resulted in expressions of solidarity and funding for the conference. Given these circumstances, funders even overcame the hurdle of finding ways to channel grants to an event organised by an unconventional political party. Initiatives like the EDGE Funders Alliance Just Transition Collaborative seem to be spaces where civil society and funders can come together in such a productive way in the future in order to support systemic change efforts. What now? Who is taking the lead? Where will the next gathering be held? Santiago de Chile was half-jokingly mentioned during the final panel, but no official announcement has been made. What was lacking at the meeting was a space to discuss long-term strategy for the movement as a whole and get beyond ‘fighting fires’ locally by building a vision. While appreciating the beauty and effectiveness of organic growth and emergence, as well as the wish of the organisers to not turn this into a formal platform, it feels like a lot of positive energy is being left unused by leaving participants without a shared objective and perspective for the future. Also, there is the risk that either too many actors or nobody takes the lead on pushing the global new municipalist agenda, tries to extract and disseminate learnings across the network, or plans the next gathering, for that matter. A final declaration was not wanted, it seems. But that left everyone hanging somewhat without a roadmap or broader vision.